Hi friends! 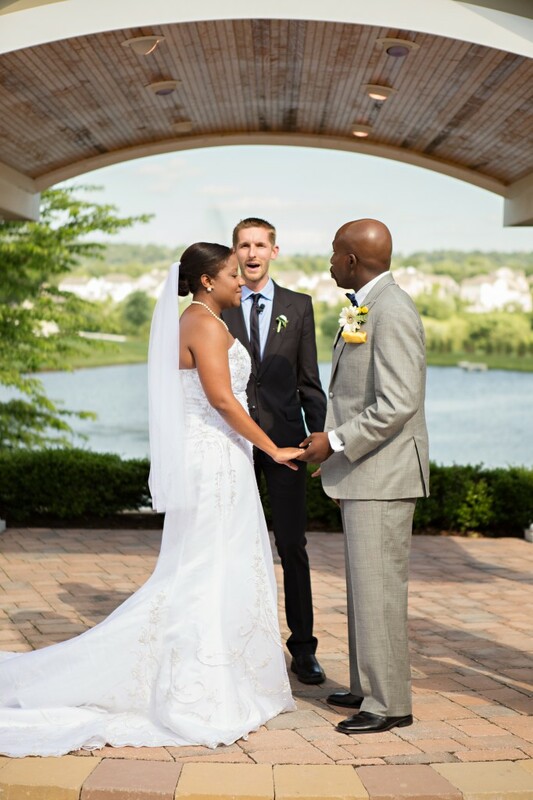 Wedding Wednesday is back and this week I’m sharing a bunch of photos from the ceremony. We were truly blessed with a wonderful day. You never know what the weather will be, but you really don’t know what the weather will be on a Saturday in the middle of June. We had a glorious day – clear skies, moderate temperatures and a slight breeze. It was magnificent and set the stage for a great day. Lots of pictures to follow — enjoy! All pictures by Stacey Gillin Photography! 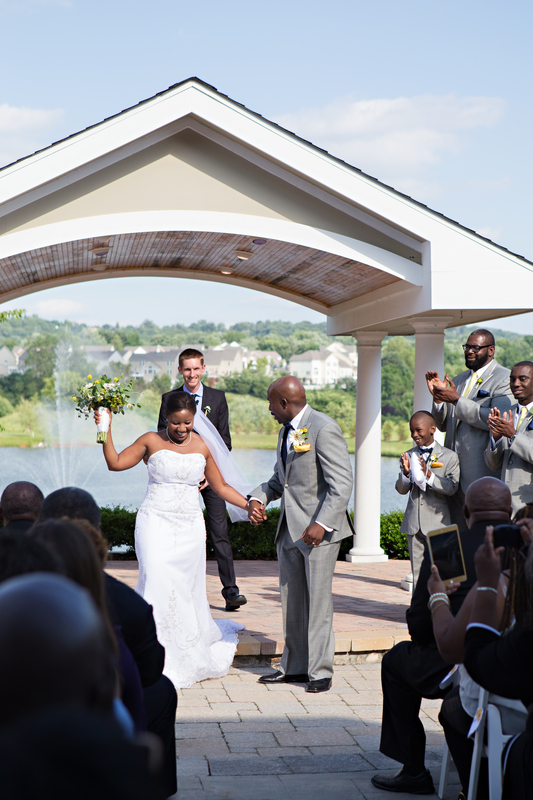 What was your favorite thing at your wedding ceremony? I loved the spirituality of ours. Plus the beautiful setting. Couldn’t have been better! Oh my goodness you look so cute! It looks like you are dancing down the aisle. And your hubby is so handsome in that suit. Thanks for sharing your special day! oh we WERE dancing down the aisle! 🙂 we love to dance! Aww, so sweet. The wedding looked amazing! So happy for you!! Beautiful pictures and the background (the awning and water) framed the pictures so nicely. thanks! the natural beauty of the area was one reason we chose hollow creek! Always enjoy seeing those beautiful pics! What fantastic photos. You look stunning! I love the one of your hubs tearing up. Another set of gorgeous photos, Courtney! My favorite part of our ceremony was the official tying of the knot. Its ancient tradition in our church to have a knot tied around the couple’s hands. 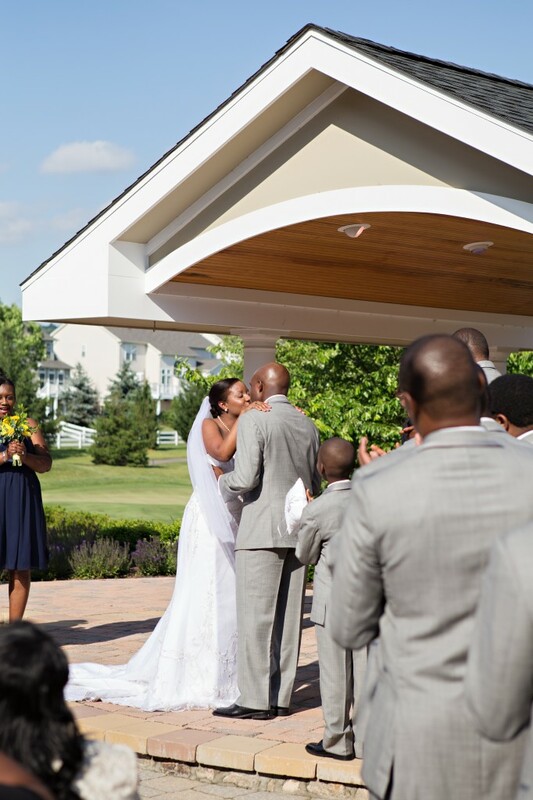 That part of our wedding was more meaningful to me than our first kiss because according to ancient traditions we were officially “bonded” as husband and wife with that knot tied around our hands. thanks kathryn! that sounds so awesome – i love traditions!! Awww! So emotional. I also liked the list of candy and treats 😉 Love that it was a meaningful ceremony. wanna write a wedding wednesday about YOUR wedding? 🙂 it was also amazing!!! That’s sweet of you to say. Haha. 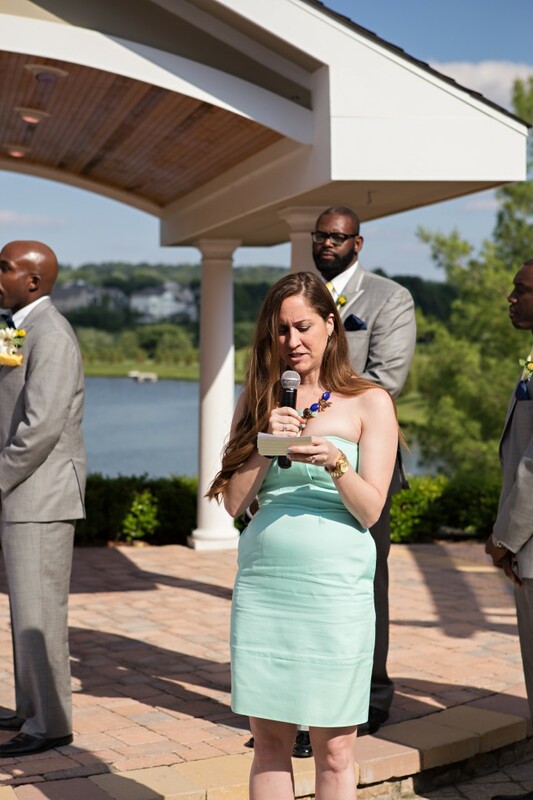 I could write about how to be a totally chill, happy bride… oh wait. You definitely covered that one better 😉 I could certainly try. Beautiful!! My favorite part was the sand ceremony. My husband and I, each had sand in 2 different colors and both were combined during the ceremony. We still have the glass in our living room. I had a destination wedding in Cancun. It was absolutely amazing! 48 of our closest friends and family came to celebrate with us. Beautiful weather, amazing food, beachside…best day of my life so far!! Mar @ Mar on the Run recently posted…Marika Leggings – a Review! I love these pics; your dress is GORGEOUS! Thanks for sharing, Courtney!